Thick, luscious, healthy-looking hair never goes out of style. 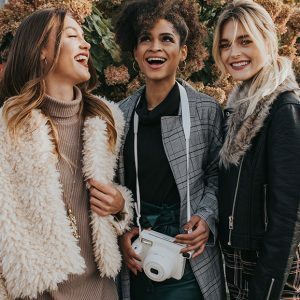 Besides being one of the most evident signs of youth, many women admit that having voluminous hair makes them feel sexier and more feminine. However, as we get older, our hair ages too and some women start noticing their hair is getting thinner, scarcer or more brittle. 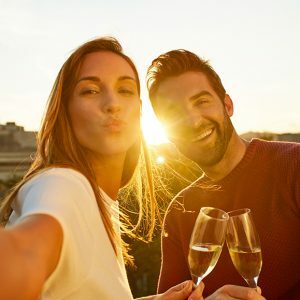 This is generally a totally natural process but it might also be due to external causes, such as stress, unbalanced nutrition and overdoing chemical or hot styling methods. 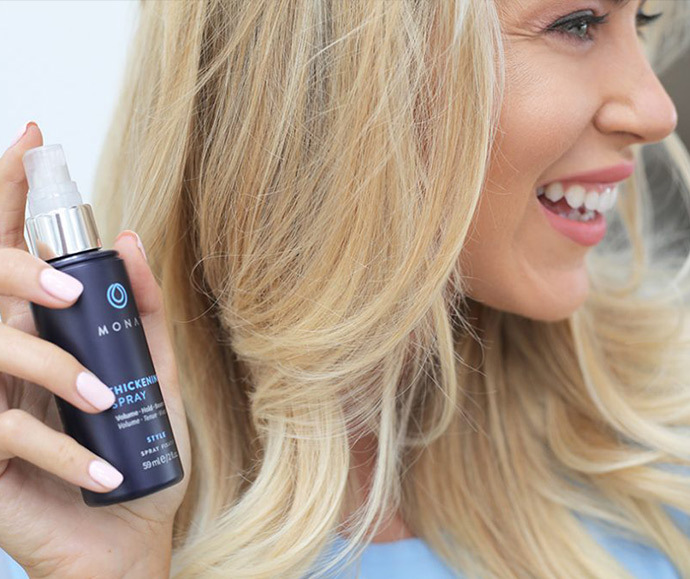 Don’t just style your hair, treat it with MONAT! 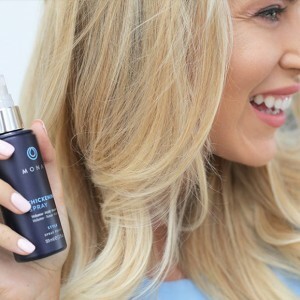 MONAT’s newest addition to its permanent collection of products, Thickening Spray, is formulated with the powerful key ingredients Capixyl™, Procataline™ and Crodasorb™ to add texture and fullness to the hair, while protecting it from sun damage, extending color and helping stimulate hair growth naturally. Thickening Spray also offers a light, flexible hold that’s soft yet keeps hairstyles in place. Thickening Spray is super easy to use. 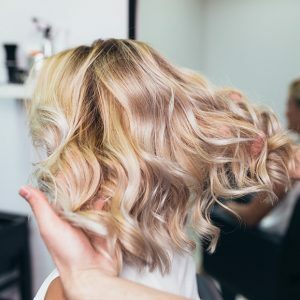 After washing your hair with your favorite MONAT shampoo and conditioner, gently squeeze out the excess water. On damp hair, use 1-2 sweeping sprays on each section of hair, then style as usual. 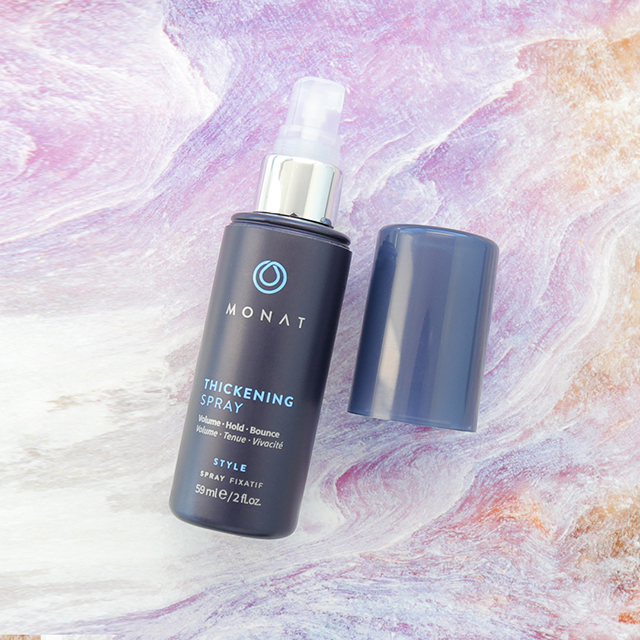 While Thickening Spray adds volume to the hair shaft, MONAT’s Reshape Root Lifter adds volume in the crown area. The two make the perfect pair! Use them together to add more height, body and bounce to your hair. Say NO to silicones and other toxic ingredients. Silicones coat your hair and simply sit there, weighing your hair down and creating build-up. Harmful ingredients such as phthalates, sulfates and parabens strip hair of its natural color and moisture. You will never find these in any MONAT product! Embrace your natural look. 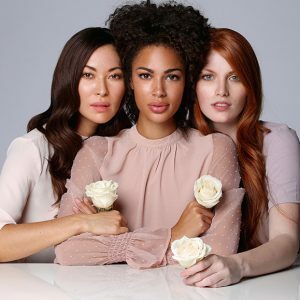 Avoid over-drying, coloring or chemically treating your hair at all costs and pamper it at least once a week with a nourishing treatment, such as MONAT’s Replenish Masque . Go short[er] and messier. A nice square haircut will make your hair appear thicker while fresh layers will help it look fuller and bouncier. Flipping your part to the opposite side from where your hair usually parts will also add volume to your roots. Loose hairstyles, semi-undone up-dos and tousled looks will also give your hair some oomph! Don’t forget your vitamins. Remember to take your daily dose of supplements to help boost hair growth and its healthy appearance. S3 by MONAT provides advanced nutrition for the hair to make it more beautiful from the inside out! 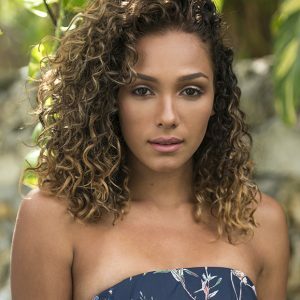 Share your testimonial and photos of your hair on social media! Use the hashtags #MONATStyle and #MONATHelps. *The statements endorsed herein have not been evaluated by the Food and Drug Administration. The products and information mentioned here are not intended to diagnose, treat, cure, or prevent any disease. Information and statements made are for educational purposes and are not intended to replace the advice of your treating doctor. MONAT Global does not dispense medical advice, prescribe, or diagnose illness. The views and nutritional advice expressed by MONAT Global are not intended to be a substitute for conventional medical service. If you have a severe medical condition, see your physician.